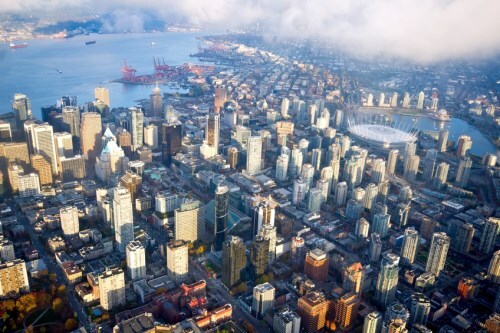 Foreign nationals who buy real estate in Metro Vancouver would pay an additional property transfer tax of 15 per cent under legislation being brought in today by the British Columbia government. Finance Minister Mike de Jong introduced the tax as part of legislation aimed at addressing low vacancy rates and high real estate prices in southern B.C. The government says the additional tax will take effect Aug. 2 and will apply to foreign buyers registering the purchase of residential homes in Metro Vancouver, excluding treaty lands in the Tsawwassen First Nation. De Jong says the additional tax on a $2-million home would amount to $300,000. He says recent government housing data indicates foreign nationals spent more than $1 billion on B.C. property between June 10 and July 14, with 86 per cent being made on purchases in the Lower Mainland area. The legislative package would also enable the City of Vancouver to amend its community charter in order to levy a vacancy tax. Last May, de Jong said he wasn't in favour of a tax on foreign investment, saying he worried it would send the wrong message to Asia-Pacific investors. Everywhere in the developed world foreign investors are required to pay additional tax when purchasing real estate. It is finally time for Canada to do the same. After all, people who live here should be able to buy here as well. If a foreign national wants to simply 'park' his/her money here, it should be taxed - just like everything else here. I'm quite shocked that de Jong is not supporting. "Last May, de Jong said he wasn't in favour of a tax on foreign investment, saying he worried it would send the wrong message to Asia-Pacific investors." It will be very interesting to see how this plays out. If it is too much of a brake: the market tanks. Do nothing and based on the current price acceleration extrapolated out over the next 3 years; no middle class person could ever buy a single family detached in Vancouver again. This bears careful watching.